President Trump has come under criticism following to his quick withdrawal announcement of US forces out of Syria. 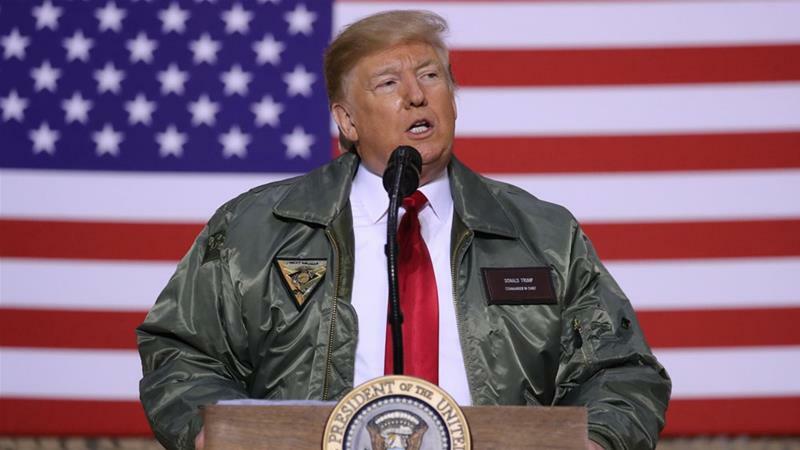 A senior US senator has questioned President Donald Trump’s troop pullout from Syria after three Americans were killed in a suicide attack by the armed group ISIL in Syrian town of Manbij. US Vice President Mike Pence repeated the claim on Wednesday to the press after the attack, saying the ISIL “caliphate has crumbled” and the armed group “has been defeated”. Pence said he and Trump “condemn the terrorist attack … and our hearts are with the loved ones of the fallen”. “We’re never going to be safe here unless we’re willing to help people over there who will stand up against radical ideology,” Graham said. Turkey’s President Recep Tayyip Erdogen weighed in on the controversy, saying he didn’t expect the attack to affect Trump’s pullout decision. US authorities has restated that they are committed to secure and improve security.